Intel has confirmed that it will release optical cables for the Thunderbolt interface later this year, enabling devices to communicate at further distances than possible with the existing copper-based versions, as well as offering increased bandwidth. Thunderbolt was released just over a year ago, offering data transfer speeds as high as 10 Gbps. To put that performance into perspective, a full-sized high definition movie can be transferred between two Thunderbolt-equipped devices in less than 30 seconds. Originally code named Light Peak, it was developed in a joint venture between Apple and Intel to provide faster connection speeds between devices than the more popular USB 3.0 interface. Despite the much higher bandwidth optical-based installations offered, it was launched using copper technology instead, due to the high cost of fiber-optics at the time. Intel promised consumers last year that they would release optical cables for the new interface sometime in 2012. 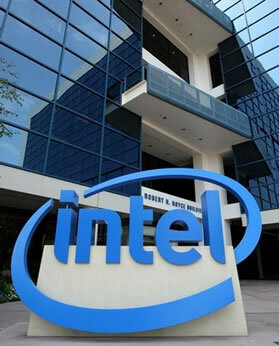 Dave Salvator, a spokesperson for Intel confirmed to IDG News on Monday that the processor giant plans to keep to this promise, but did not reveal the exact timeline for release, or how much it would cost. The optical cables will allow for data transmission at longer distances, possibly into "tens of meters," according to Salvator. Currently the copper-based cables have a theoretical maximum cable length of 6 meters at 10 Gbps transfer speed. The use of fiber optics will also enable the CPU maker to ramp up the bandwidth to as high as 100 Gbps over the next decade. There is one drawback however. Longer optic cable runs will not be suitable for devices that draw power from the Thunderbolt port, and will therefore require dedicated power in order to function. Currently copper-based solutions provide up to ten watts of power. One major benefit though, will be that existing Thunderbolt ports will be able to use the new optic solutions without any hardware changes being required, which is good news for early adopters of the technology in Apple computers. For the time being, due to the expensive cost of fiber optic technology, usage is expected to be limited to enterprise and other commercial applications that will benefit from the higher bi-directional bandwidth they offer, although more computers due for release alongside Intel’s Ivy Bridge architecture this year are expected to feature Thunderbolt ports. Intel’s spokesperson also stated that the company is working on a Thunderbolt PCI-Express 3.0 protocol, which could be used to transfer data at the new PCI-E specifications of 8 GT/s (gigtransfers per second). Also in development is a successor to Thunderbolt using silicon photonics that will enable transfer speeds five times higher than the existing solutions. That is expected to hit the market around 2015.